The pilot has been announced by the government today (16 November 2018) following feedback from legal professionals across the country. As a result of this feedback, flexible operating hours are not being piloted in criminal courts. Two courts in Manchester and Brentford will run the pilots for six months, testing whether civil and family buildings can be used more effectively; the benefits of making it possible for people to attend court outside of the traditional 10am – 4pm sitting day; and what more flexibility means for staff and legal professionals. "We want to make our courts and tribunals more accessible to the public. This pilot assesses whether and how we can give people greater flexibility in their busy lives. "We listened carefully to the views of legal professionals and others before going ahead, and as a result flexible operating hours are not being piloted in criminal courts. We will now test different options relating to operating hours in two civil and family courts and an independent evaluation will be carried out before any decisions are made about further roll-out." The Government is investing more than £1bn to reform courts and tribunals with the aim of making it as simple and straightforward as possible for people who come into contact with the justice system. 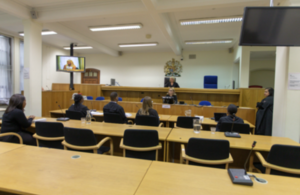 Case types proposed for inclusion in the pilots announced today were chosen following input from the legal sector and local judiciary, and views of court users and professionals will be taken in to account in the evaluation. A full evaluation will be conducted by an independent organisation.